If you have garage door problems, don't get discouraged! Here you will find the answers to your questions. 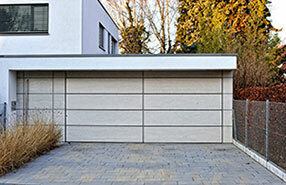 Insulated doors prevent hot and cold air from getting inside your garage. Our experts suggest getting an insulated door as they can prevent air from getting inside your living area causing the temperature to fluctuate; it can give you maximum comfort if you use your garage as a workshop; and it can reduce noise production. Why is my garage door opener humming? There are many reasons that cause the opener to hum and the door will not move either. The motor start capacitor may be burnt out, or the gears or rack may be stripped. In some cases the trolley may be jammed in the stop bolt. Why is the door not lifting even if the trolley is moving? The only possible reason is the emergency release that is disconnected from the system. Our professionals in Orangevale advise users to reconnect by pulling the red handle forward so that the catch is reset, and then press the wall switch or lift the door to connect it back. What should I do in the event of a snapped cable? As we all know, a snapped cable will prevent your garage door from opening or closing all the way. In that event, you should ask for professional help as soon as possible. Experts at Garage Door Repair Orangevale will handle successfully this problem. Why does my garage door make a lot of noise and is too heavy to push up? 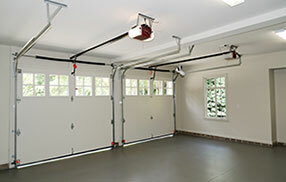 If you feel the garage door is too heavy to lift and is making an unusual noise when you close or open, then there is something wrong with the springs. Take this problem seriously because springs are essential components of a garage door. If they snap, they will certainly cause body injury. Our team of experts can help you fix this.